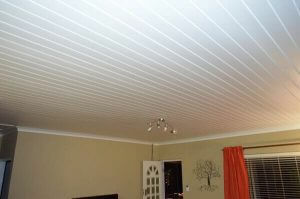 The Isoboard Ceilings are the new fashion in homes in South Africa. These ceilings are available in thicknesses from 25- 80mm thick. Ideal for all homes as well as homes with restricted ceiling volume space to achieve the correct R-value. Isoboard is a rigid Thermal board for ceiling applications as well as wall cavity insulation. 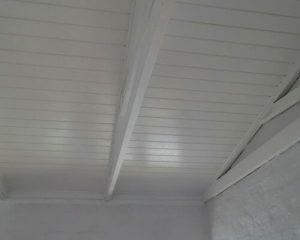 Firstly the Isoboard Ceiling Application is a clean application. Secondly, the Isoboard has a great R-value. Isoboard has great Thermal Insulation properties. This is particularly good when roof cavity space is restricted. The Isoboard Ceilings are a Tongue and Groove finish that has a typical high-class finish. The application is clean and dust free in comparison to conventional Ceilings. In fact, this is perfect for retrofit applications as well as new builds. For retrofit applications, Isoboard is a quick clean application. In fact, an average 30m2 room can be completed in 5 hours or less. With no skimming and sanding and dust in the home. The Isoboard products have great R-value properties and come with the installed R-value as well as the aged R-value. Installing Isoboard Ceiling means that homeowners can reduce the Roof Insulation layer that is installed to be SANS compliant in all new homes. 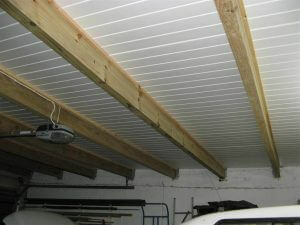 Isoboard Ceilings: Standard Ceilings as well as well as Exposed beams. In all new homes as well as a retrofit in existing homes. Wall Cavity Insulation Isoboard: Ideal for all new builds to reduce Thermal Heat transfer through the brick walls. Under Floor Insulation: This is great to reduce the cold air from below. Especially in homes built near rivers or dams.